What yield can I expect from a Mlilbank Estate rental property? What yield can I expect from a Millbank Estate rental property? The buy-to-let market in Westminster will provide investors with healthy returns for as long as tenants choose to live in high quality homes within easy reach of Victoria’s ever-expanding retail facilities Pimlico, Westminster and St James’s Park Underground Stations. This is despite the government introducing a 3% stamp duty surcharge on second homes, which pushes the tax payable on a £550,000 apartment in a Grade II-listed mansion blocks in Millbank from £17,500 to £34,000. 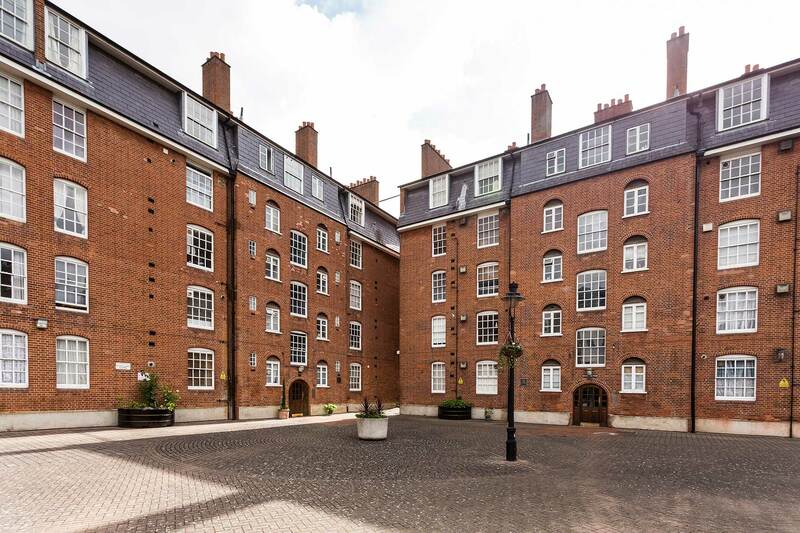 To calculate the level of return an investment property in this well-maintained red brick development will deliver, landlords need to calculate the rental yield – the rental return as a percentage figure of the property purchase price. LendInvest reports that rental yields between 2010 and 2016 in the whole of the SW postcode was 4.8%, but this is based on landlords receiving £19,500 per year in rent. To calculate your buy-to-let investment’s rental yield, take the total rent received over a year. Considering the estate’s 562 flats are moments from the Tate Gallery and the Chelsea College of Arts, it is not unreasonable to let one-bed properties here for £1500 per calendar month, which would work out to be £18,000 per year. Next, take the purchase price of the property (£550,000) and add that figure to its buying costs (£34,000 stamp duty plus £2000 professional services fees). That gives you a total of £586,000. Now perform the following calculation: 18000 ÷ 586000 x 100 = 3.07%. While this is lower than the pre-stamp duty increase figure of 4.8% it is still far higher than savings rates available on the high street. However, the above calculation assumes the investment property on the Millbank Estate, which has been refurbished to a high standard, was purchased without the need for a mortgage. Let’s assume the investor takes out an interest-only buy-to-let mortgage for 80% of the purchase cost (£440,000) at a rate of 3%. That would result in monthly payments of £1099 or £13,188 per year. Subtracting that figure from the annual rent receipts of £18,000 leaves a healthy pre-tax profit of £4,812 per year. To calculate the yield, take the deposit put down (£110,000) and add that figure to the stamp duty and other buying costs (£36,000). This gives a total of £146,000. A quick glance at the best savings rates available on easy access accounts, reveals no more than 1.3% is currently available. Not only that, the value of property in Westminster is likely to appreciate in value if the investment is held for 10 years or more. But even subtracting 25% from the £18,000 annual pre-tax profit gives a yield of 2.47%. As well as Tate Britain, Millbank is known for its large number of parliamentary offices, most notably Number 7 which was built as the headquarters of British American Tobacco. Neighbourhood restaurants and bars are found in Pimlico – including the highly rated Cask pub – while Albert Embankment (on the edge of the capital’s new diplomatic quarter) provides Millbank’s residential and business community with a choice of local amenities. Garton Jones has received a large number of enquiries about properties in and around the Millbank Estate from both buyers and tenants. If you want to sell or let your property in Westminster, use the form to contact us today. Every buy-to-let investment can deliver a different yield depending on the cost of the property, the size of the deposit put down and the rent charged. For this reason, the figures quoted above are for illustration only.